Every year, Cosplay Mania opens its doors to cosplayers and enthusiasts alike to strut their stuff and have fun doing so. There’s always something to see at the con floor as Cosplay goes beyond what is only limited in the entertainment medium we are used to seeing; Jesus walking among us, Marvel and DC characters crossing over by simply hanging out, you get Stormtroopers high-fiving Enterprise officers, some red headed hoodie wearing dreamboy selling imported potato chips on the side, the list goes on. But under the craft, the armor, the masks, who are these people exactly? Con Stories is back once again to talk to cosplayers and how they had their own trials and tribulations in getting costumes done, and even share some of their memorable experiences as to how the hobby and the characters they portray built them to the person they are today. I found the character relatable because Izumida is that type of character who wants to be noticed and he wants to be stronger as well. So since he’s the new captain of the bike team in Hakogaku he has a lot of responsibilities. What makes him relatable was that he was asked to do a task to win a race and then he failed but he was told to “do it next time!” or “just win it!” because whenever I was given a task, and when I would fail they would tell me to “do it better next time!” or “don’t give up!”. This is actually my first time cosplaying, I’ve always been the photographer in conventions so I just wear casual clothes. My first con was Hawaii Con 2007, I was pretty lost and also very overwhelmed and I really like how it’s been a part of me all throughout the years. Then I would go around buy merch, and hang on the corner somewhere until I met a group of people from HSPH who are my close friends now so I go to cons because of them. I thought [Wendy] was a really interesting character; she’s very brave and I like how chill she is which the opposite of me is and I really do like Gravity Falls. 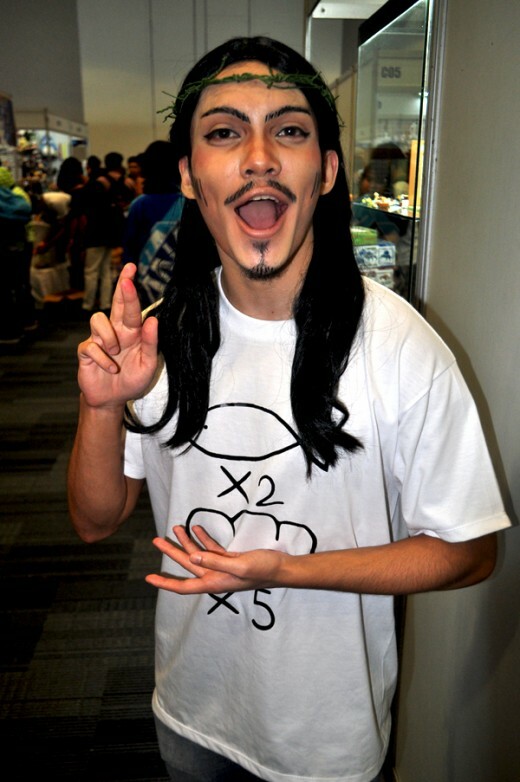 I’ve been doing this for three or four years, my first legitimate cosplay was Lee Sin. I remember how people are so excited to see the character they love and they would pull you out from wherever you are and go “OH MY GOD! LEE SIN! 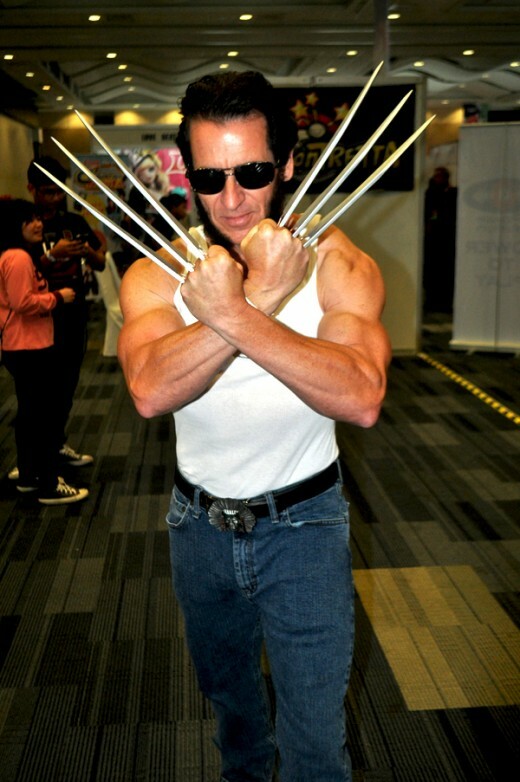 I LOVE YOUR COSPLAY! and this and that! CAN WE HAVE A PICTURE? !” It’s such an uplifting feeling; it’s great to make people happy through your hobby, from what you’re doing. You can start with a character you love very much and little by little you gotta build on that. Of course your first cosplay is gonna be simple but little by little you gotta learn about the make-up, you gotta learn about making your own costume if you don’t wanna buy it, You gotta learn about styling a wig, where to buy materials, and little by little these things will start to compound and get better. Every time you do it you learn to grow even better. How I began, my first cosplay was not very good, it’s hand-stitched. I was lucky because that cosplay only featured my body so all I really had to do was work out for it but then little by little I learn how to do make-up to change the shape of my face, I learned how to contour, and sow different clothing, make armor, and that really brings cosplay to the next level. Ang work ko ay advertising so open sila sa mga ganyan like there were times na I have to present to a client na naisip ng boss namin na ‘masmaganda na makukuha natin yung pitch pag nag Spider-Man ka’. 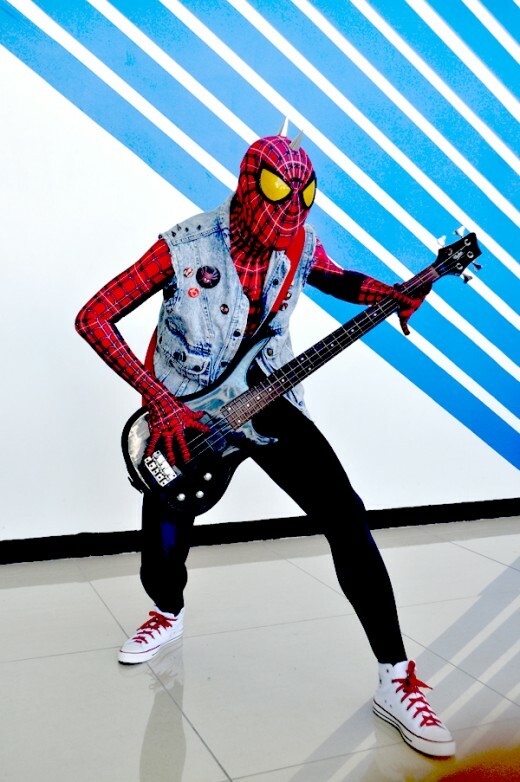 Tapos may mga parties kami or events na kailangan si Spider-Man kasi naging mas masaya. Eh di game! 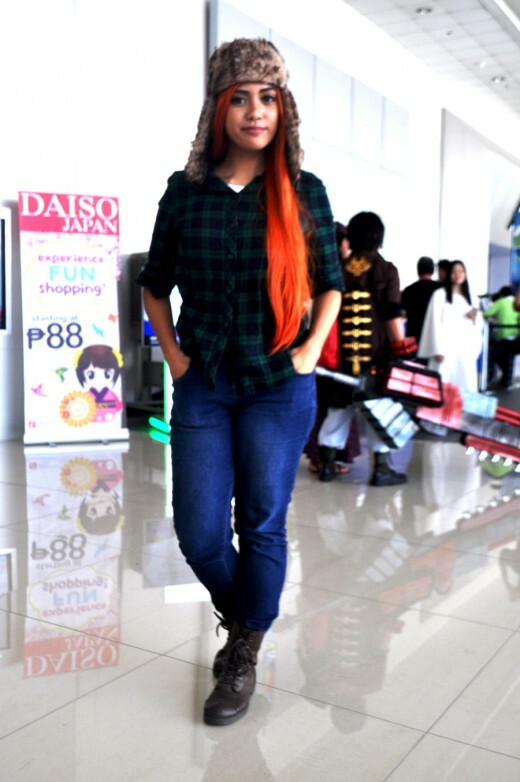 Andyan narin lang, So ayun The World Collide na yung buhay ko sa advertising, yung buhay ko sa cosplay, at music! Read up our full interview with SpiderDan on the jump! Skye: Now we’re like in High School! Like… Third Year High School. Skye: It was only Skye and me before where we just partner cosplayed. 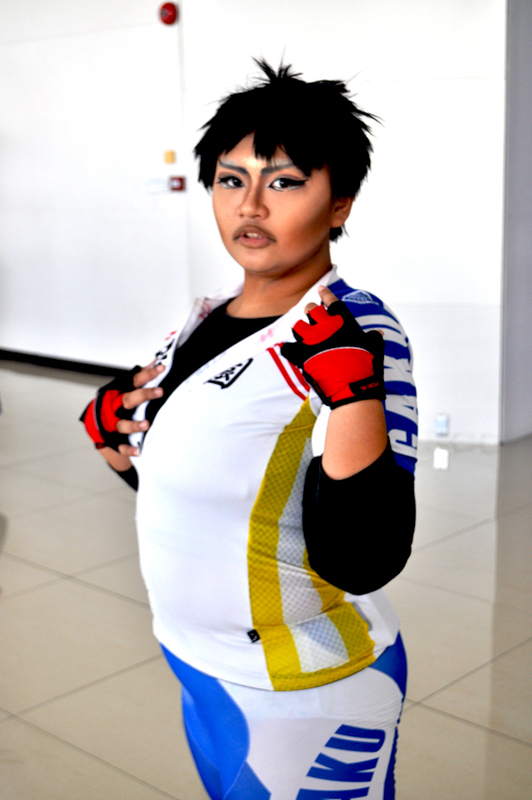 Akira: We started cosplaying since 2012, and since then I only cosplay at least once a year. So 2015, Skye and I thought that let’s start socializing with other people. 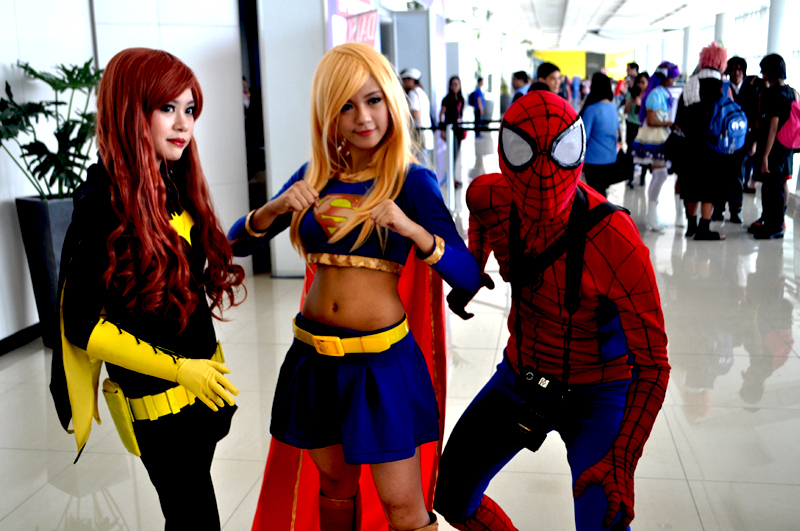 So it was in APCC 2015 where we really socialized with other cosplayers and we really connected with them in a way. Jose: I started cosplaying last year, and the most memorable for me was when I first walked in the hall; and the Joker asked me to go in front of the Marvel booth. I listened to him and Spider-Verse PH was there and I got to be part of them. I was Spider-Man back then, it had more of a makeshift look to it and eventually this year I get to improve it. So I keep on upgrading, the eyes were the hardest part! I keep experimenting on different see-through materials. Cosplay Medics started from the idea of wanting to improve the community; lately there’ve been a lot of toxic posts and complaints and people attacking each other. So we kinda just wanted to give a positive message and make everything happy again so that people will remember that cosplaying is for fun and cosplaying is to make people happy. 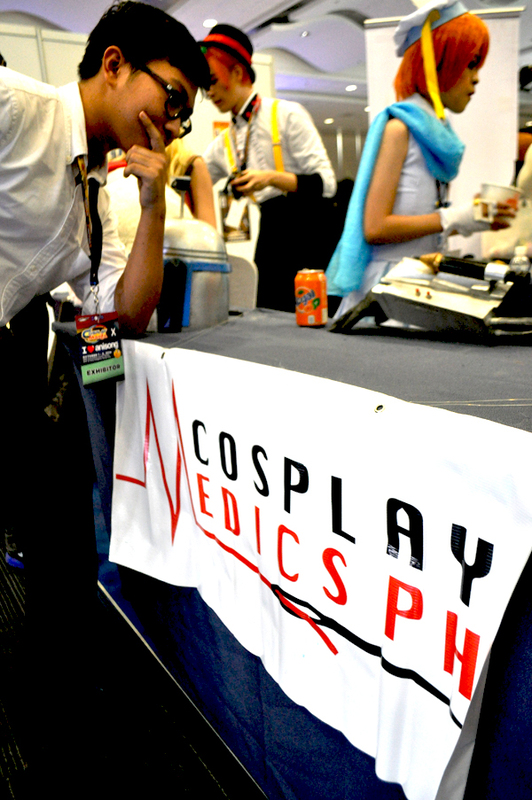 Since the cosplay medics are also cosplayers, we know how hard it is when your costume has a malfunction, if it rips, or when a prop breaks. We know how hard it is in the middle of a con when that happened. So we Cosplay Medics are here, when you’re facing problems and that’s kinda our way of bringing back to the community and spreading good messages so that people don’t have to go through their problems alone. They can just come to us for help and we’ll be glad to assist them! Jared: I have seen her in cosplay events four years ago, and to me it was a princess in a golden gown and the rest was history. Jared: We’re a real life couple! Mahjo: 2 years and counting! Mahjo In the comic, they were secretly harboring feelings for LOTS of people but we just found that they had better chemistry even when we portray them. G.P. Manalo is a student by day, and a resident tortured writer by night. Writing to keep him sane from all the Business School papers and presentations piling up each week. Darth Vader Role Confirmed in ‘Rogue One'; James Earl Jones set to Return! Here’s Why You Should Catch Fullmetal Alchemist on Netflix! RAKRAKAN FESTIVAL Is Back With A Whole Lot Of Surprises This 2018! MCC List of Guest Superstars!! 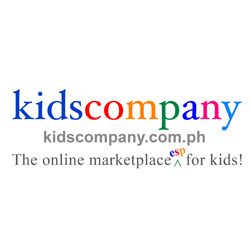 Sketchpad Studios (Philippines) are Looking for Talents! WATCH: The Fight For Wakanda in new ‘Black Panther’ Trailer! 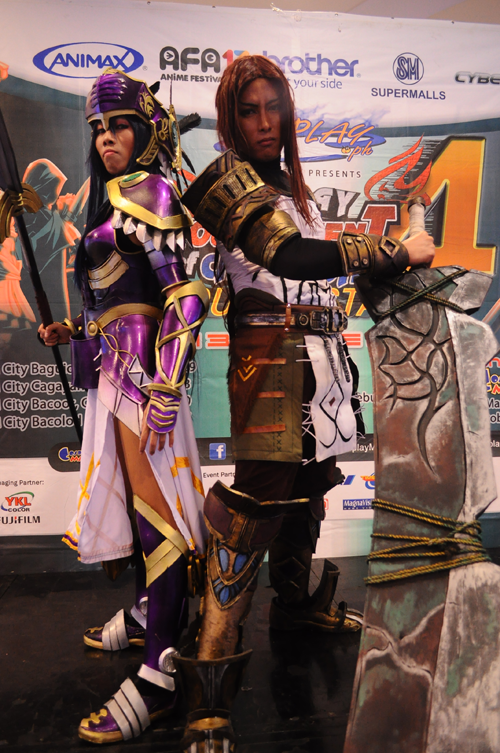 Cosmania’s TORCH Champions Represent Philippines in AFA Asian Regional Cosplay Championship!